A daughter of a senior Mumbai policeman who grew up in Mumbai, and was an Arts student at Mithibai College, in Vile Parle, Mumbai, she appeared in several music videos and in some item songs in Bollywood movie. Rakhi shot to fame when she was still in school, when Bollywood director Suneel Darshan cast her as an Item Number opposite Govinda in Joru Ka Ghulam. Three years later she auditioned four times before winning her breakthrough Item number Mohabbat hai Mirchi in Chura Liya Hai Tumne in 2003. Rakhi has a boyfriend Abishek. On November 12, 2008 she confessed to breaking up with her boyfriend Abhishek on Zoom TV. Though Rakhi had regular broken up and reconciled with Abhishek before, this was final. Rakhi has also had several controversial times; her father who dislikes the film industry was dismayed when his baby daughter entered a profession that he considered disrespectful. 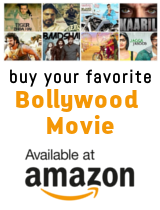 Her father now lives alone and Rakhi is the sole provider for the Sawant family, including her brother Rakesh, who is in the process of directing his first film. She first made a lot of media from Mika Singh ''pappi'' incident. After she received wider notice as a contestant in several reality shows, including Big Boss and Nach Baliye, she began to receive considerable coverage from the Indian tabloid press. In November 2008, Rakhi appointed senior journalist, internet branding and marketing expert and publicist Flynn Remedios to handle her Media and branding needs as she began to get media attention from not just the Indian press but from media all over Africa. Rakhi has also performed in Indian Cricket League 2nd Final on November 15, 2008. About 70,000 people were present that time in the ground. In 2009, Sawant launched her reality show Rakhi Ka Swayamwar in which she planned to select her future husband by the ancient ritual of Swayamvar. On 2 August 2009 she chose her life partner, a contestant from Toronto, Canada, Elesh Parujanwala. However, several months later, Sawant announced that the couple had separated due to irreconcilable differences.